The temperatures across the USA are freezing, but we’re offering you a chance to take a (literary) vacation from the polar vortex . . . to Puerto Rico! 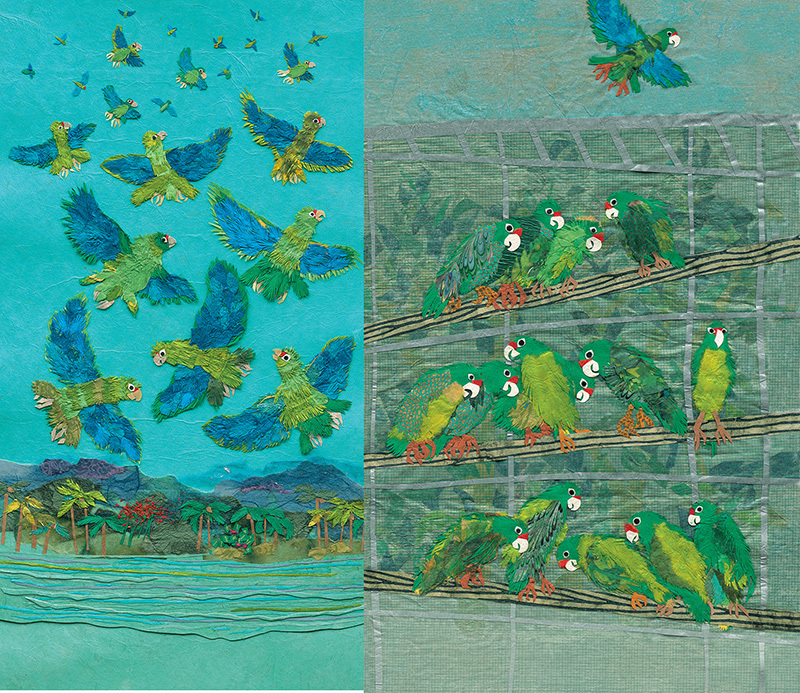 Released this past fall, Parrots Over Puerto Rico takes readers above the treetops of Puerto Rico and delves into the history of this unique parrot. Once abundant, they almost became extinct due to centuries of foreign exploration and occupation, development, and habitat destruction. Luckily, the parrots were saved thanks to the efforts of the scientists of the Puerto Rican Parrot Recovery Program (PRPRP) and they have continued to thrive since!